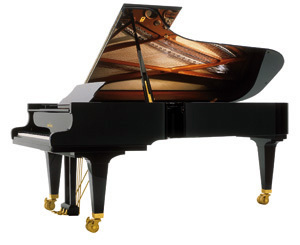 With a compact length 8’4″, the K 256 Tradition is slightly shorter than the traditional K280 meter concert grand. The model is however 16 centimeters longer than the wide range of grand pianos available in the 2.40 size – this extra length means greater tonal volume and sonority. This is the perfect alternative model for medium sized concert halls, churches and for institutional purposes. This model is certainly a class of its own among the larger concert grands!